The species composition and quantitative structure of the rotifer fauna was investigated in a reservoir containing coal mine water. Only nine mainly planktonic species of rotifers, were found. Two of these were dominating: Brachionus angularis and B. rubens. They are typical indicators of eutrophic waters. 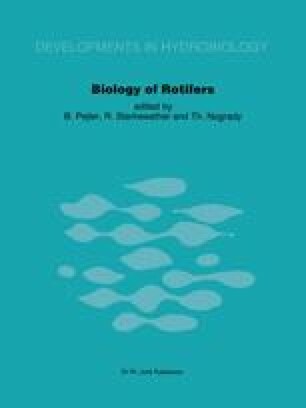 Chlorides and sulphates may have an influence on the occurrence and quantitative structure of rotifer assemblages in the investigated reservoir.